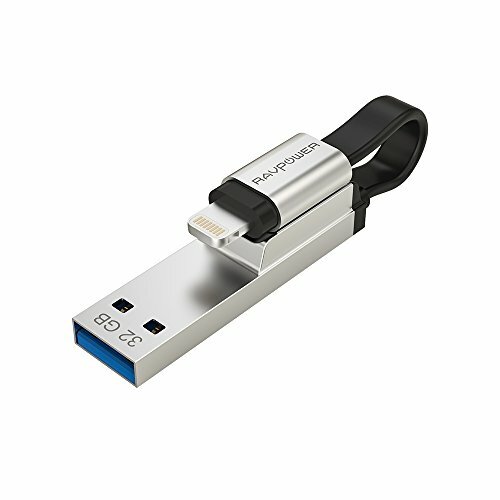 RP-IM013 is an 32GB iphone iPad iOS flash drive USB 3.0 with lightning connector for PC. RAVPower memory stick is MFi certified. It comes with 18 months of warranty. Faster USB 3.0 Data Streaming: AUTHORIZED exFAT, enables you transfer individual files larger than 4GB. Experience up to 80 MB/s reading and 30 MB/s writing speed with the USB 3.0 port and up to 30MB/s reading and 10MB/s writing speed with the lightning port. PLEASE NOTE: 1) you could not transfer iTunes Music & Video files to thumb drive, as they are DRM (Digital Rights Management) protected. 2) 18 months of WARRANTY.